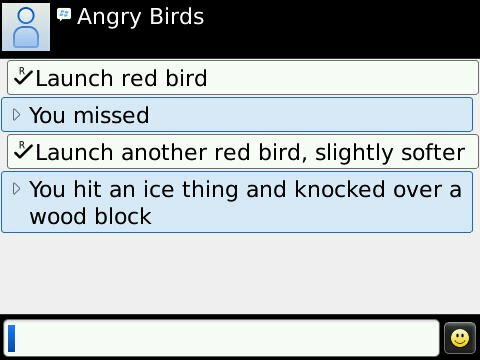 The Finn folks at Rovio Mobile have had quite the blast with their superstar physics-based puzzle game Angry Birds. Taking cue from simple castle destruction games of old (and other flash-based games), the developers at Rovio put together a bunch of really angry birds at war with egg-stealing gluttonous green pigs, added special powers to some birds and some great level design throughout the game and published it to the iOS. The rest is, well, the adoption. According to an interview with Rovio CEO Mikael Hed, the game became a bestseller almost overnight in the home country of Finland and thus began its conquest of all the major mobile operating systems. So, after the iOS, Android, Symbian^3 and the WebOS, the game headed towards its first major gaming console entry: as a PlayStation Mini for the PlayStation Portable handheld console and the PlayStation 3 home console. The game’s 63 playable levels are available on the PSP/PS3 for a sum of $3.99. The main game is pretty simple: you have a catapult and a lot of gung-ho kamikaze birds at your disposal. You have to aim these birds at pig fortresses and kill all the pigs on a level because they stole the birds’ eggs. Those pigs are evil. If that did not make much sense, this video will. There are five types of birds available as you progress with various powers available to them. The birds’ launch order is pre-determined, so you have to use some strategic thought to get through many of the higher levels. The game has been ported well into the PS system. The controls are rock solid (unlike wonky touch controls that were especially fidgety on my phone), and the gameplay is (for the most part) buttery smooth. There were lag issues when a lot of destruction happened on screen at the same time, especially when the blue birds hit ice barriers and the like. Although they were minor, I really hope they don’t spoil the fun later with the black birds (aka the bomb birds) and the flying chickens. The sound is crisp, just as expected. But is there a really good reason for buying this game on the PlayStation Store, especially when you can get the exact same experience on your mobile phone for much less (read: free on the Android)? This is exactly the same experience that you get on your mobile phones. Nothing extra added (as far as I could tell; it has been a while since I’ve played episode 1’s levels) and nothing extra promised as yet. While the load times are a pain (as with all PSP games), the [almost] no-lag gameplay on a larger and brighter screen might hold appeal for fanboys. As for me, I had $4.03 left in my PSN wallet, and did not know anything better to spend the money on. Do let me know of your thoughts in the comments! Keep in mind that the entire world does not use iPhones (not yet, anyway). I use a BlackBerry, which is still the most popular smartphone brand in the world, and we do not have Angry Birds on our phones. Therefore, while I love my phone, I did feel like I was missing out on this one game. For anyone to complain about a $3.99 price point is a little absurd. Casual and “traditional” gamers alike have sunk dozens of hours into this simple game, and the pricing is very consistent with other Playstation “Minis”. I was thrilled to get a portable version of this game I can finally play. I would not be interested in playing it on a 360 or PS3 for any length of time. I agree with what you said, but the majority will always complain about the fact that the iPhone version has way more levels, and is cheaper too. However, I did not like the occasional lag that creeped in when ice blocks were destroyed.